THE government has reiterated that officers should not be given 10 out of 10 in a routine manner by the reporting or reviewing authorities, and this should be restricted to 20% of the officers under their supervision, and any grading of more than 8 for each attribute must be justified by giving reasons in writing in a separate sheet. 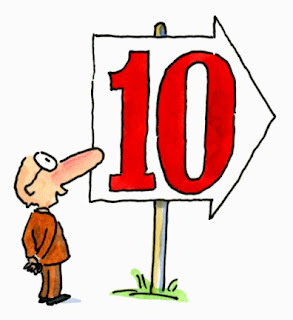 Numerical gradings are done in a scale of 1 to 10, where 1 refers to the lowest grade and 10 to the highest. It has come to notice that many officers have secured full marks in the outcome of Performance Appraisal Report (PAR) introduced for IAS, IPS and IFS so far, which may later be applicable to other civil servants too. The original idea of introducing the numerical system by replacing the age-old Annual Confidential Reports (ACR) was to locate the outstanding officers and help them securing empanelment and promotions faster than the others. But that must be a limited lot as not every officer can be MS Dhoni or Sachin Tendulkar! The government in a recent order has further reiterated its instruction issued on 3rd December, 2008 which says that any grading of more than 8 for each attribute must be justified by giving reasons in writing in a separate sheet. The guidelines for Reporting Authorities also said that the members of the Service graded between 8 and 10 will be rated as ‘outstanding’ and will be given a score of 9 for the purpose of calculating average scores for empanelment/promotion. Similarly, members of the service graded between 6 and short of 8 will be rated as ‘very good’ and will be given a score of 7. Babu Blogger’s Take: All these are perfect! But what’s about officers who take more initiatives and hence are likely to make more mistakes vis-à-vis others who are laggards so far as new initiatives are concerned. More you work, more controversial you could be! So, it’s a big challenge for the administrative reformers to give special incentives to those who work hard and initiate new projects. The Science of Appraisal has developed to a fairly precise level.Nevetheless,according to Jack Welch(GE)every organisation has to carry the "laggards"(20%? )along.The major part of the system(70%)is where the resposibility for making things work lies.The top 10% has leadership potential.In any case whatever system is adopted,there are shortcomings! PAR is a welcome step in right direction to bring in transparency and accountability in performance assessment and recording the same. However, PAR also has been slipping in to the rut with passing years. Its time to introduce a system wherein "specific assignment performance assessment" on each officer is recorded online on a scale of 1-10 at the end of each assignment by the Supervisory Officer. Let there be an average of 10 specific assignments in an year or a certain period for assessing the true potential of an officer. Why not? Let new ideas come all quarters.